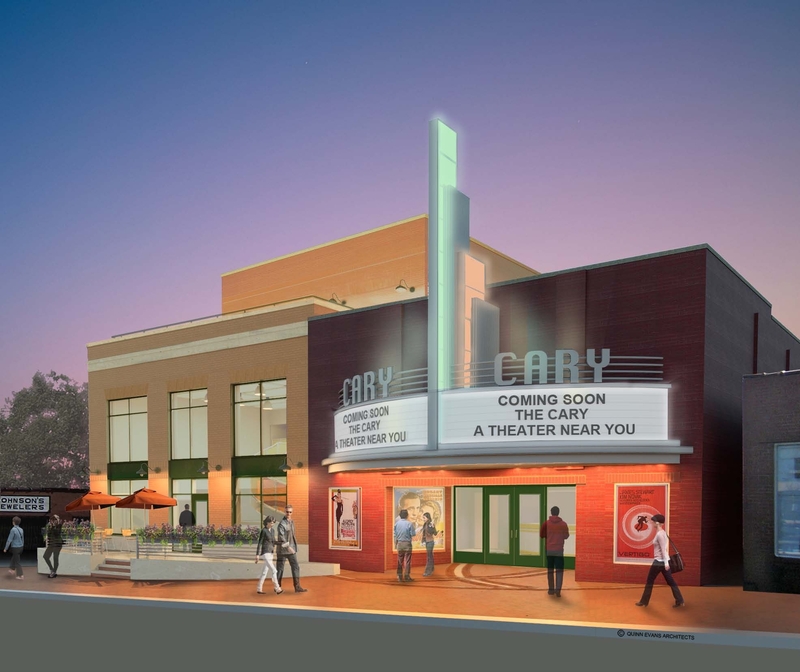 You may have noticed the construction going on along Chatham Street in Downtown Cary, and the crew is getting very far along with preparation for the new Cary Theater. The expected open date is going to be in Spring 2014. You can see the front exterior getting its finishing touches as you travel through the streets of Downtown. If you are looking forward to another movie theater, then you are going to be a little disappointed to learn that it is more of a community theater. It will host smaller shows, and videos put together by the Youth Video Project that goes on during the summer. This picture is the scheduled finished look of the theatre. Check back next week to see some updated pictures! Along with this construction, the road has been repaved and new shops have been popping up through out the Downtown area. Just another new addition! It is said that one of the first event planned at the theatre is a Cary Town Talent Show, I cannot wait to hear more about it as the date draws closer. What kind of events would you like to see at the theatre? Posted on December 27, 2013 by marykim1 •	This entry was posted in Lifestyles of Cary and tagged Additions, Art Theatre, Cary, Cary NC, Cary Theater, Cary Theatre, Cary Town, Construction, Downtown, Downtown Cary, NC, Spring 2014. Bookmark the permalink. ← Looking for a Place to Retire?